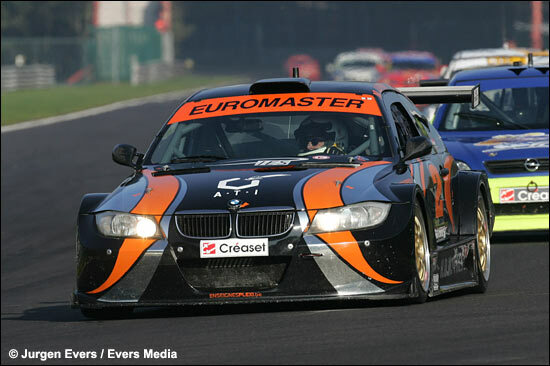 The 2006 BTCS championship came to an end this past weekend in Spa. With a 4th spot in the first race and a 3rd in the second, Patrick Slaus and Marc Lupant took the overall spoils in their mighty BMW M3 Silhouette (by the way, notice the livery – vaguely familiar?). The BMW pair beat the works Renault of Vosse and Bouvy and after all the affairs earlier on in the season with weight, penalties etc, nobody seemed to be unhappy with the fast privateers winning the series. Race victories in Spa this weekend went to Duez and Van de Wauwer in the GPR Porsche 997 and Vosse and Bouvy in the Mégane Trophy. 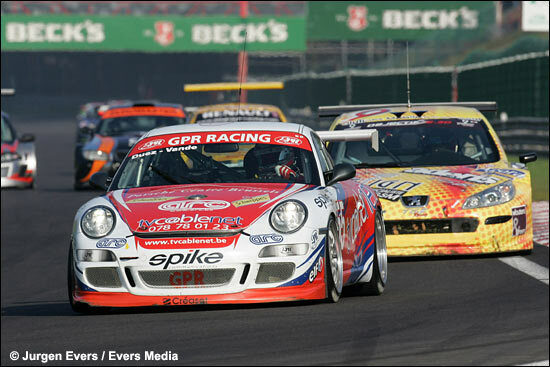 Duez and Van de Wauwer completed the championship podium in their Porsche 997. This could well be the last full coverage of the BTCS on dailysportscar.com as the series will not be open to GTs next year. 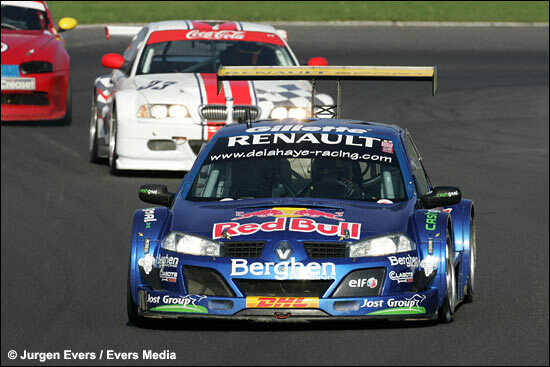 BTCS will a full touring car series in 2007, no longer allowing Porsche, Ferrari or Lotus. 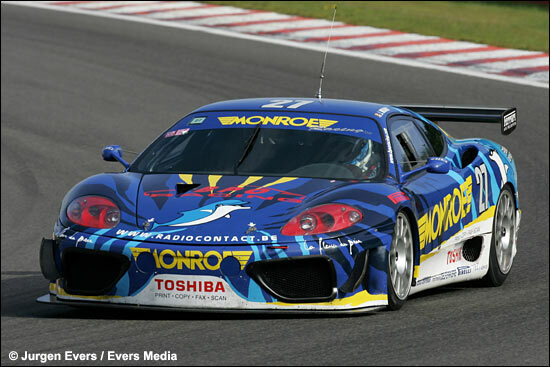 As reported earlier, Belcar will become the sole GT championship in Belgium. The format of the BTCS races will also be different, as it will be closer to sprint races instead of 90-mnute races as it has been until now. There will be one exception to all this; the third round of the 2007 calendar is the Spa 12 hours, open to all cars - GTs and Touring cars. The Brits did rather well this weekend. Hardman and Leventis twice won the T5-class in their mighty M3 GTR, while Nigel Greensall was in a class of his own behind the wheel of the Chad Racing Porsche 996.